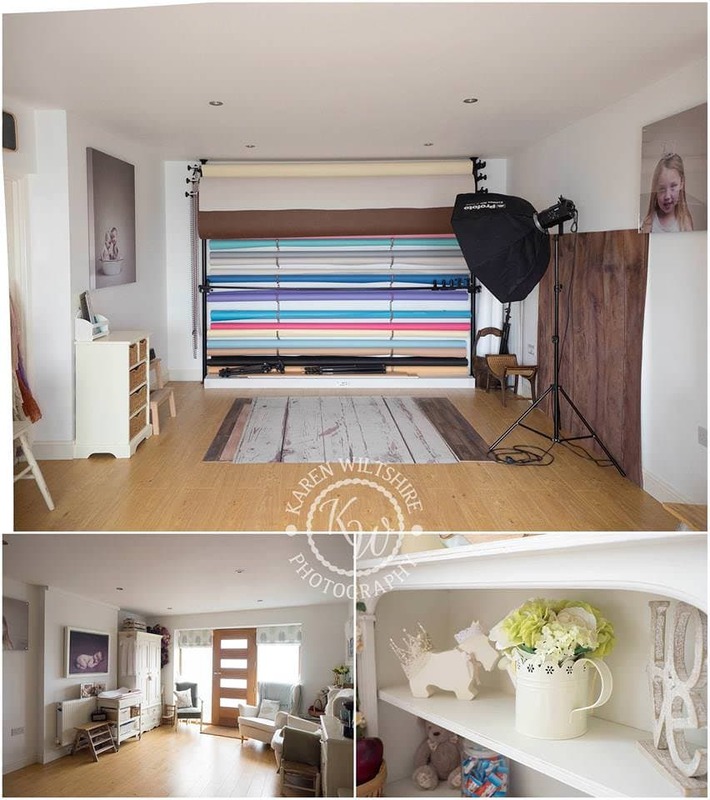 The KW Photography studio is located in Broadstone, in Poole, Dorset. Find the full address and my contact details here. It is easily accessible from surrounding villages and towns in the Poole and Bournemouth area, as well as from locations across Dorset; with Dorchester and the Purbecks to the west and towns such as Blandford to the north. Also conveniently located close to the A338, the studio is also less than 40 minutes from the M3 motorway, with cities of Southampton and Winchester within an hour’s drive, and Central London less than 2.5 hours away. (I also offer on location photography services and can travel anywhere within Dorset and Hampshire). 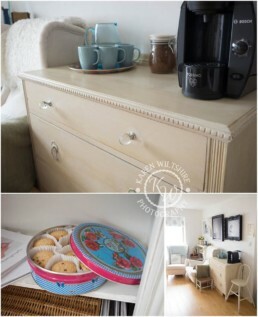 I have designed the studio to be welcoming and comfortable. 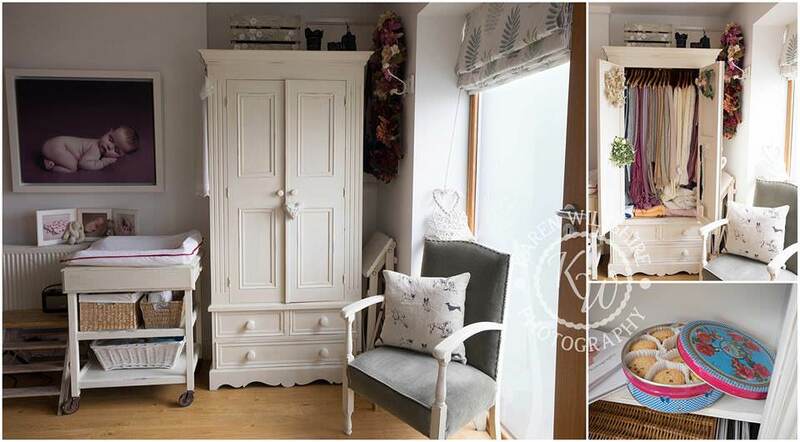 I have seating areas for parents as well as facilities such as tea and coffee, changing mats and wipes, and examples of my work for you to look through. I also have examples of professional photo products available to buy – canvases, framed prints and acrylics – mounted on my studio walls. 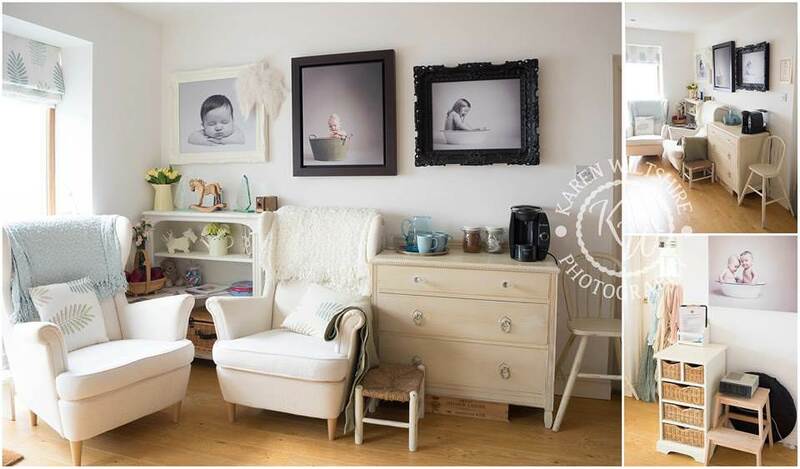 I maintain a warm temperature within the studio to ensure that babies and children are as comfortable as possible during their photo shoot. This is vitally important because during a newborn photography session your baby is undressed and, being so young, they are unable to regulate their core temperature. The warmth has been known to make parents sleepy, and some have even nodded off during the photo shoot (which is completely fine!). My aim is to make your photo shoot as relaxed as possible. 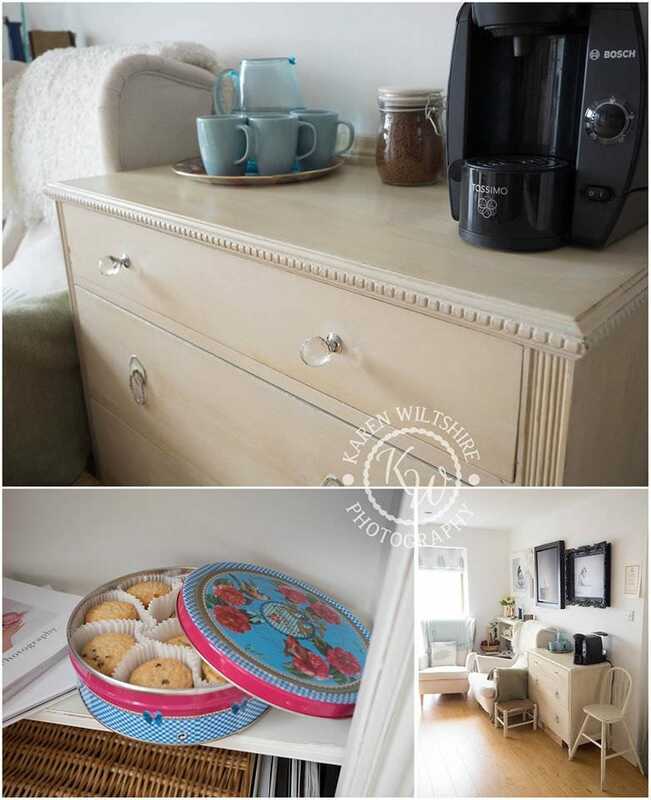 I hope that you like the look of my studio, and look forward to having you visit soon!